It’s October, which means fall has arrived, Halloween is just around the corner, and it’s Blindness Awareness Month, or Meet the Blind Month. October is also National Disability Employment Awareness Month. An extra bonus is that 2015 is the 25th anniversary year of the Americans with Disabilities Act, or ADA, which continues to break down barriers for disabled persons seeking employment in the United States. Though October 2015 gives us much to be excited about, low employment of people with disabilities remains a difficult societal puzzle worth solving. 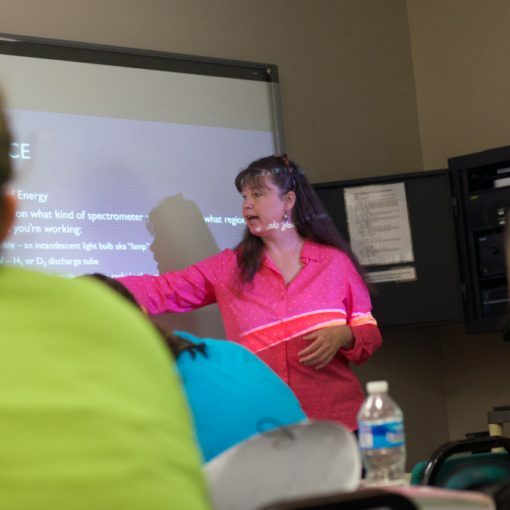 According to recent data from the U.S. Bureau of Labor Statistics (BLS), the unemployment rate for persons ages 16–64 without disabilities was 6 percent, but it was more than twice that for persons with a disability, and tends to be much higher for the blind and visually impaired. Further, the National Center for Science and Engineering Statistics (NCSES) found that, in 2013, only about 7 percent of all employed persons with science and engineering degrees had a disability, even though people with disabilities make up about 19 percent of the total U.S. population. I’m writing about this because I am a chemist with a disability. More specifically, I’m a 30-year old visually-impaired, albino, Korean-American woman. Having a disability is an intensely personal matter, and we in the disabled community go out of our way to respect the differences between people’s experiences and personal stories. As it is for each of us, my story and opinions are my own. Like many scientists, I’ve been curious about the universe for as long as I can remember. The thirst for knowledge and understanding, as well as supportive teachers and family, helped boost my drive and confidence to pursue science as a career. However, there were obstacles along the way. In all of my high school and undergraduate labs, I relied heavily on my lab partners. In the best cases, I would be paired with a labmate who was good at executing the lab, and I would record notes, draft lab reports, and present data. I didn’t rely on lab partners for every lab, but I would have preferred to not have had to at all. It didn’t occur to me until very recently that people sometimes ask for accommodations in the actual lab protocols, or they have lab assistants. To some extent, these accommodations have been helpful to colleagues of mine, but ultimately, blind and visually impaired chemists must depend on someone else to do at least a portion of the experiments. During my last year of college, as well as my first year of graduate school, I was able to work more independently. This was perhaps in part because I was focusing on biochemistry, which didn’t involve much glassware, fire, fumigation hoods, or organic solvents. There were still challenges, though. I had trouble loading gels, running protein purification columns, finding Eppendorf tubes in ice buckets, etc. With the help of experienced and creative mentors, we found some easy accommodations. For example, there are gel-loading guides to help in pipetting into the correct wells, I would use a syringe instead of pipettes for loading, and I would color the tops of my Eppendorfs with a marker so there would be enough contrast between them and the ice in the ice bucket. All of that helped, but there wasn’t a ready solution for everything. There was no real solution for looking for bubbles in purification columns other than just asking for help. While all of these micro-solutions made it possible for me to work independently with a minimal amount of assistance, I was still very slow in the “wet lab” compared to my colleagues. So after spending a year doing computational chemistry in Germany and a lab rotation in a computational structural biology lab, I decided that this was my avenue towards becoming a great scientist. 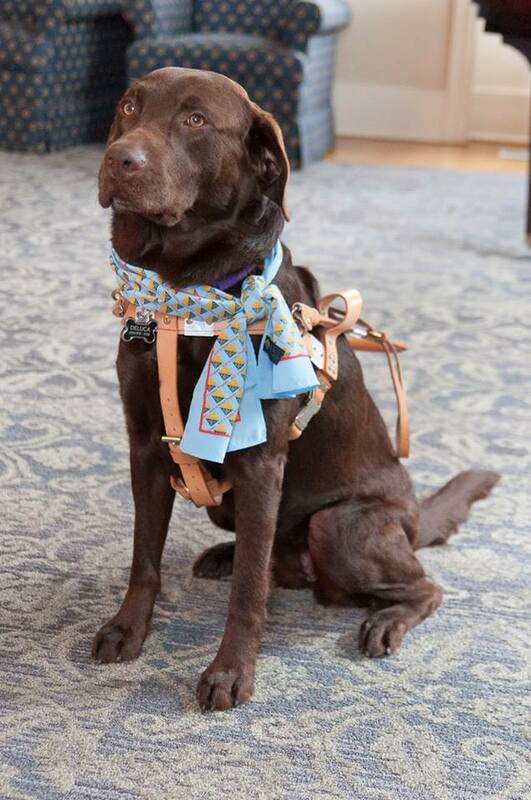 Karra DeLuca, guide dog to Stephanie DeLuca. Photo used by permission from Stephanie DeLuca. It turns out that the few blind chemists I know, with one exception, have taken the same route. Even though I believe computational chemistry is meritorious and important, my question is, how do we do chemistry in such a way that blind chemists are truly integrated into all aspects of the field? I do not know how we could achieve this, but perhaps others do. Can we rely on our other senses more? Smell? Sound? Touch to a reasonable extent? (NOT taste!) Are there other technologies that could help fill the gap? Could partnering with other technological specialties, such as engineering, produce new ways to help blind chemists operate in a lab? What is the best way, or even a good way, to form and sustain those partnerships? One non-profit organization, Accessible Science, is making headway in this arena via its California Chemistry Camp, which provides blind high school students invaluable hands-on chemistry laboratory experience. In order to maintain an intimate atmosphere, it is limited to fifteen students per year. 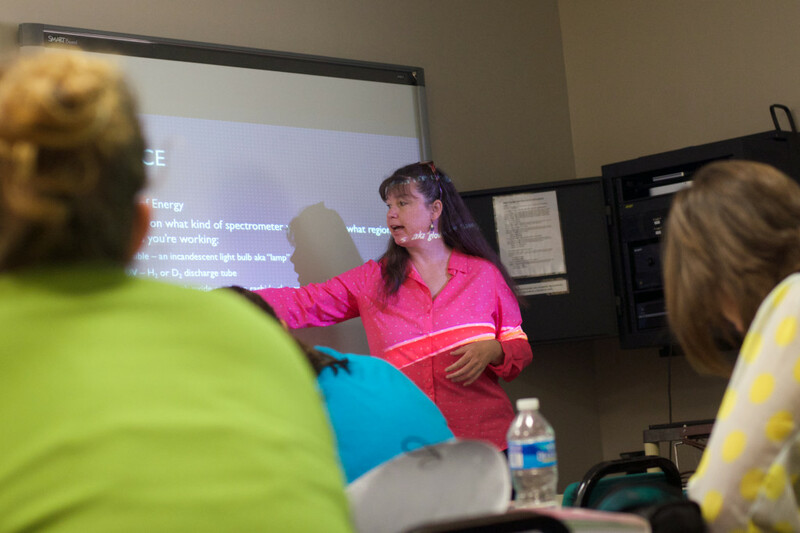 The National Federation of the Blind’s National Center for Blind Youth in Science offers a variety of programs, such as STEM2U, which partners with museums and science centers across the country to bring STEM to the blind and visually impaired. However, these programs are mainly focused on pre-college students. On the equipment side, Independence Science develops accessible laboratory technology, such as pH meters, voltage sensors, and related software to make science accessible to the blind and visually impaired. Concerning people with disabilities more broadly, the American Association for the Advancement of Science, or AAAS, has been placing undergraduate and graduate students in STEM internships across the country since 1996 via its Entry Point program, but like the aforementioned efforts, isn’t tightly integrated into very many students’ education and training as a matter of course. I care deeply about equal access to education and employment for all, and I am especially passionate about broadening participation of people with disabilities in science, technology, engineering, and mathematics (STEM). In spite of the progress we have made as a society in helping people with disabilities work in STEM, challenges remain, and many of them have nothing to do with working in the lab. For example, most scientists spend a significant amount of time presenting their work in the form of publications, posters, or PowerPoint presentations. Because I have some usable vision, I was able to make my own figures and presentations, but it took me much longer than my sighted peers. I suspect people with no usable vision must depend heavily on assistance for data visualization. Further, scientists, and people in general, tend to communicate via body language, which is difficult or impossible to interpret for someone who cannot see. How can a blind person tell if you are raising your eyebrows? Or shaking your head? Or smiling? As strange as it may sound, I actually requested my thesis committee to verbally express what they were thinking, which helped greatly in me being able to “read the room” during committee meetings and my defense. Other problems include getting accommodations for classes, books, and exams, such as the SAT or GRE, in a timely fashion. Basically, traditional means of education and training are not amenable to people who cannot see, making accommodations incredibly important. Often, people with disabilities do not even know they are entitled to accommodations, don’t feel like they should take them because they may be perceived as “cheating,” or don’t even know what accommodations they might need, as can be the case when a never-encountered situation arises. 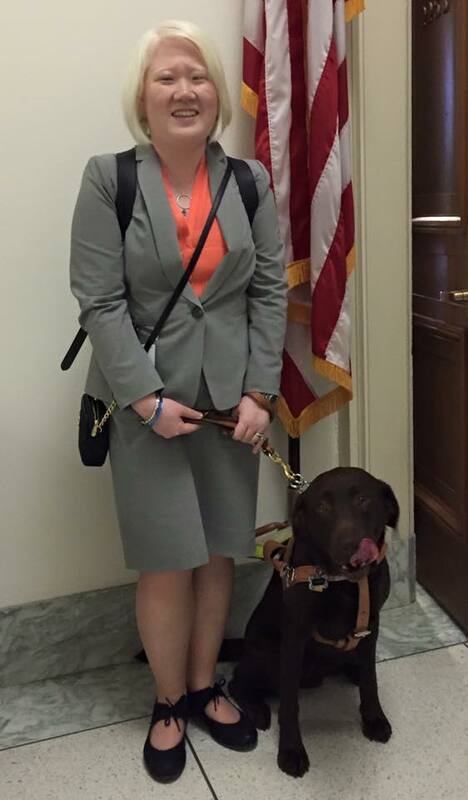 Stephanie DeLuca and guide dog Karra at an ACS Science and the Congress event on Capitol Hill. Photo used with permission from Stephanie DeLuca. More generally, and perhaps most importantly, there is a lack of role models and mentorship for people with disabilities in STEM. At the moment, I personally know fewer than ten chemists, who are blind or visually impaired. None of my blind colleagues knew about me — or vice versa — until I was in graduate school or later. Even in our small community, there still too few of us to know the others exist. And being a member of an underrepresented group sometimes puts us in awkward situations. On one hand, we want to be known for the caliber of our work, not for a disability. For example, I use a white cane or a guide dog to get around, and it’s apparent that I cannot see. At the same time, I don’t want to be known as “Stephanie, the Blind Chemist,” though being visually impaired is part of who I am and allows me to be a role model for others who may come after me. Feeling internal conflict between wanting to be recognized as a member of a minority group but to not be defined by it is not uncommon. When I look at the data from BLS or NCSES, the programs that are available to broaden participation, and the anecdotes from people with disabilities, I observe many parallels with challenges faced by other underrepresented groups, such as women, racial and ethnic minorities, etc. Personally, I wish more effort could be applied in the recruitment and retention of people with disabilities. I would argue that finding ways to build up a STEM workforce and education system that fully integrates persons with disabilities is beneficial for all, as anyone can become disabled — temporarily or permanently — at any time. Many age into disability as well, but they do not wish or are not able to retire. Is there a way to make sure that members of this often-overlooked demographic can have truly equal access to the benefits of a good STEM education and to feel like they belong in the workforce? More specifically, what can we as members of the chemical community and of the world’s largest scientific society do to help bring that dream to fruition? The ACS Chemists with Disabilities Committee is a great starting point, but what other efforts are being made in this arena? Are our challenges more policy related, or is it a matter of implementation and/or cultural change? Are individual programs and a slew of non-profit organizations enough to solve the systematic problems of underrepresentation, and are they doing enough outreach? Why or why not, and how do we address the gaps? We live in an advanced world, and there are opportunities available to me I never imagined possible before. Even so, we have a long way to go, and much conversation and creative thinking will be required to get there. 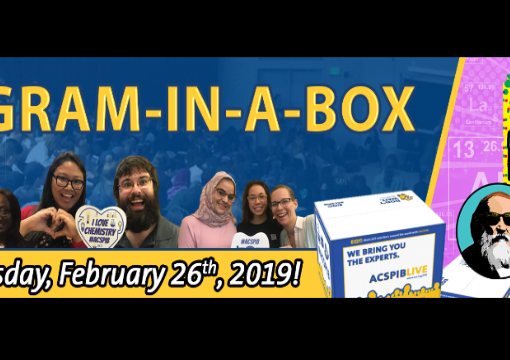 Section News: ACS Program-in-a-box at Montgomery College was a success! What an interesting, informative, and valuable communication. I’m so glad I read it. What a rich, diverse human community we are, each one of us with our abilities and disabilities, each one of us unique yet immediately relevant to all. Especially if we take the time to share in such an articulate and thoughtful way. Thank you Stephanie DeLuca. Thank you very much for your kind comments. You are absolutely right in that the human experience is very personal and unique to the individual, and sharing that experience can be daunting to be sure, especially if there are negative social stigmas that one might anticipate. Your encouragement is welcome and appreciated! Wonderfully written, Stephanie. These are great questions to ask and I hope that more resources and answers become available soon. To that end, has anyone started a wiki where people can share information on accommodations, protocols, safety tips, etc? ACS CDC seems like a natural home for this. Or NFB where it might be easily found by young visually impaired people. Or a joint effort. Also, when you mentioned that you know so few blind chemists, I’m reminded of Johns Hopkins’ OUTlist, were LGBT members of the university community self-identify and offer to be available to help others (web.jhu.edu/outlist). Perhaps a Chemists-with-Disabilities list could provide a visible list (pun intended) of role models and contacts. (for some contact info, the JH list requires JH credentials; similarly the ACS/NFB could be the gatekeeper here). Cheers to you for starting this conversation. Thanks! As to answering your questions, I don’t actually know, but it’s worth digging into. There is a science and engineering NFB listserv, but to my knowledge, there isn’t as much outreach in this area as there could be. Those are all great ideas you have, but I would need to dig a bit more to follow up on your thoughts. More generally, making members of underrepresented groups feel welcome and confident is a complicated task set before us as a community, but perhaps since there is a common theme (i.e., being underrepresented), there is room to work together in a more coordinated way. Thank you Stephanie for your very accurate and passionate article. Science in particular is a field that is very hard for a person with visual disabilities to break into. The undergrad and grad course work is challenging and breaking into the employment sector is even more challenging. One point you hit on which my son is directly experiencing right now is the very difficult hoops one has to jump through to receive accommodations on the GRE. The paperwork is ridiculously long and redundant and getting the right people to fill out the right pages has been a time consuming endeavor. My son also experienced this time consuming process when applying to take the EIT certification exam. It took approximately four times longer than it should have. Students with disabilities should not have to fight for their right to learn. The learning brings on enough of its own challenges. I think communication between people with similar situations and experiences is key to moving forward. Helping each other to create pathways to navigate these roadblocks can be so helpful. Thank you for sharing your article. Let us all move forward with solutions. Unfortunately, your son’s experience is quite common. I think the main thing for us to do is to self-advocate and be persistent. If you are interested, I have a contact who might be a good resource. Please email me at s_deluca@acs.org if this sounds like it might be helpful. Previous post What is Chemistry?